Discover the extraordinary places that make New Zealand one-of-a-kind in 15 days. Explore New Zealand's magnificent landscapes, experience contemporary Māori culture and eat and drink along the way. 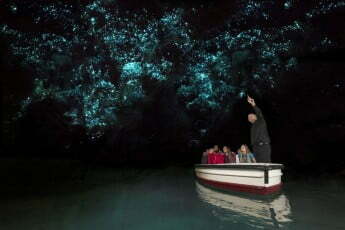 Land in Auckland, pick up your rental car and make your way to Waitomo - the drive takes about two and a half hours. Millions of years in the making, the caves in the Waitomo region are an underground wonderland of stalactites, stalagmites, glow worms, sinkholes and subterranean waterways. After exploring Waitomo, continue driving to Rotorua, which takes just over two hours. Need to rent a car? We have lots, have a look. Rotorua is legendary for its hot thermal springs, geothermal wonders, world class mountain bike trails, spectacular lakes and lush forests that can be explored on walkways, mountain bikes or ziplines. Home to our unique Māori culture, this is the place where the traditional and contemporary aspects of Māoridom are celebrated for all to share. The Bay of Plenty is home to incredible beaches, juicy kiwifruit and New Zealand's only active marine volcano. Kiwis treasure this part of the world, where white sand beaches coexist with ancient volcanoes. Mount Maunganui (aka 'The Mount') is a surfing mecca with great beach breaks, saltwater hot pools and nature walks. An hour from the Mount is Whakatāne, where Whakaari - New Zealand's only active marine volcano - is just off the coast. Read more about Bay of Plenty. The half-day journey around East Cape to Gisborne is one of New Zealand's most spectacular road trips. The rugged mountain and oceanic scenery is beyond beautiful, and you'll come across remote coastal and inland villages that are a world away from mainstream life. As you approach Gisborne, towns and beach settlements become more frequent. Gisborne itself is a sunny, easy-going city that's known for excellent surf and remarkable wines, especially chardonnay, gewürztraminer, pinot gris, and chenin blanc. Food culture is also something to get excited about here. Discover the joy of barrel-fermented chardonnay and find out why Gisborne is called 'the chardonnay capital of New Zealand'. A stimulating wine trail will lead you to local wineries and winemakers. Read more about Tairāwhiti Gisborne. Return your rental car and fly from Gisborne to Wellington. Flight time is just over one hour. You'll land in the world's coolest little capital, a compact city full of culture and character. Built around a stunning harbour and surrounded by hills lined with colourful timber houses, Wellington is known for its vibrant café and restaurant scene. It's said to have more bars and restaurants per capita than New York City! Downtown Wellington is ideal for exploring by foot because accommodation, transport, cafes, restaurants, shopping and major attractions are concentrated into a relatively small area. Browse colourful Cuba Street to find one-of-a-kind stores and great places to eat. Get splashed by the Bucket Fountain! Fly non-stop from Wellington, then collect your rental car. Dunedin is a heritage city that oozes charm and character. It has New Zealand's finest examples of Victorian and Edwardian architecture, including magnificent stone and brick buildings with wrought iron detailing. It also has a reputation for fine arts, colourful student life and quirky events. If you like cities with a creative edge, you're going to love Dunedin. Close to the city is Otago Peninsula, where you can see rare and wonderful native animals in their natural habitat. 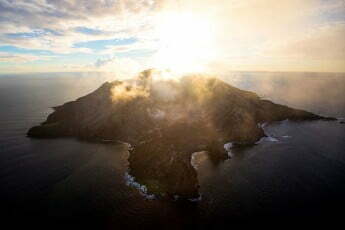 Royal albatross (toroa), yellow-eyed penguins (hoiho), fur seals (kekeno) and sea lions (whakahao) live on the peninsula. Dunedin is also handy to Moeraki and Oamaru, places of interest just up the coast. Wanaka is an all-year-round lakeside resort town and the gateway to spectacular Mount Aspiring National Park. This special place has been a place of inspiration for Māori and Europeans, with both cultures valuing its alpine beauty, natural resources and recreational opportunities. Here you can pursue adventure at your own pace, in your own time and in your own way. Even if you're not an outdoor enthusiast, there's plenty to do in Wanaka. You can explore stylish shops and galleries, then enjoy local flavours at a great selection of cafes, pubs and restaurants. The road trip to Christchurch is packed with epic scenery and places of interest. You'll drive over the Lindis Pass, and then through the Mackenzie region, which was named after a famous Scottish sheep rustler. Highlights of the journey include views of Mount Cook and the Southern Alps, bright turquoise alpine lakes and the Church of the Good Shepherd. As you head towards the east coast, the scenery gradually changes until you're surrounded by the verdant productiveness of the Canterbury Plains. Christchurch is an elegant hub of urban creativity, natural beauty and unexpected adventures. Set against a majestic ocean-to-alps backdrop, the city's glorious gardens and parks, vibrant street art and serene river scenery set it apart. Following the earthquakes of 2010 and 2011, Christchurch embarked on some of the most innovative revitalisation projects in the world. Return your rental car and fly from Christchurch to New Plymouth airport, where you'll collect another rental car. New Plymouth is the main centre of Taranaki, a region that's loved for outdoor adventures, gorgeous gardens and off-beat art experiences. The landscape is absolutely remarkable, from the picture-perfect peak of Mount Taranaki to the black sand surf beaches that decorate the coast. Visit Pukekura Park to explore the Fernery, display houses and Brooklands Zoo. Every year this park hosts the TSB Festival of Lights.